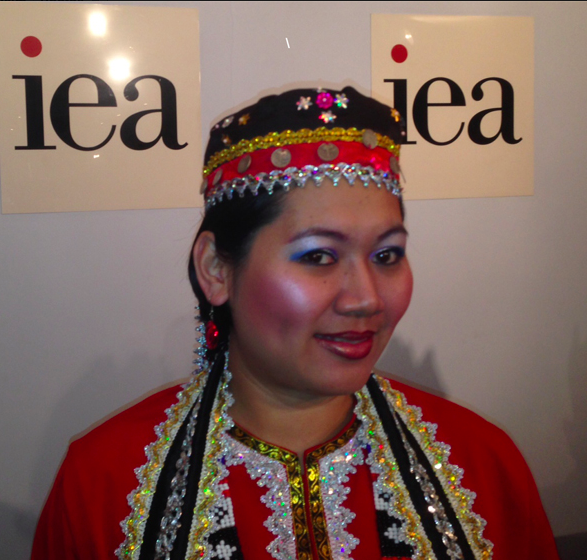 The prominent London-based free market ‘think tank’, the Institute of Economic Affairs, has been put in an embarrassing position over an apparent conflict of interest, thanks to remarks by Sarawak’s Deputy Chief Minister, Alfred Jabu. Jabu, in a speech earlier this week, boasted about his “world-wide acknowledgement” by the Institute, thanks to being granted a platform in January, at the launch of a supposedly independent report on palm oil, commissioned by the IEA. 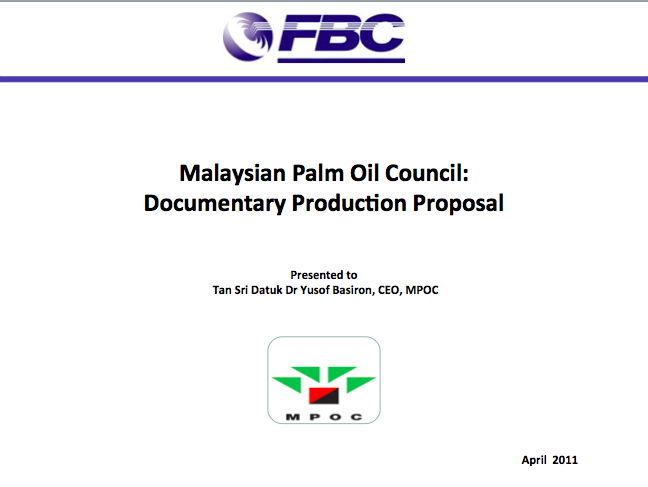 Sarawak Report has now investigated the matter and uncovered compromising links between the on-going PR campaigns sponsored by the Malaysian Palm Oil Council and this IEA report. The author of the report, which clearly defies all the known evidence about this most rapidly deforested area on the planet, is a member of the Institute’s own Editorial Board, Keith Boyfield, who told Sarawak Report that the entire report was commissioned by the IEA, which published it as a ‘discussion paper’. 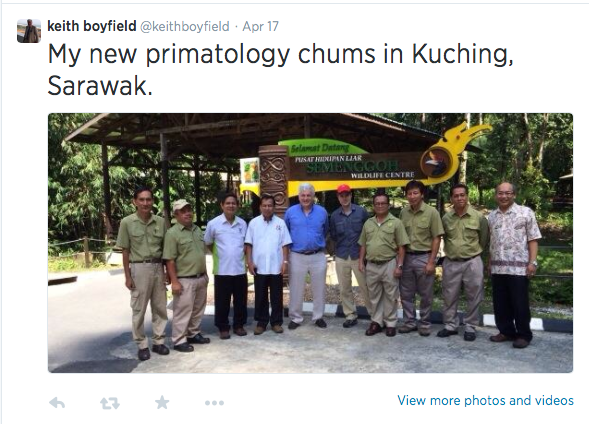 Yet Boyfield, who operates his own consultancy, has enjoyed two recent trips to Sarawak, funded by none other than the Malaysian Palm Oil Council (MPOC). 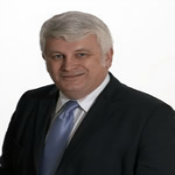 Not only that, it turns out that Boyfield was accompanied on at least one of these occasions by senior staff of the IEA, including the chief operating officer, Glynn Brailsford, who also enjoyed the hospitality of the MOPC. And their chief host on these trips? None other than Boyfield’s fellow panellist at the IEA event, Deputy Chief Minister Alfred Jabu, the Chairman of the controversial SALCRA (Sarawak Land Consolidation and Rehabilitation Authority)! He also confirmed he was hosted and escorted by SALCRA to their own plantations. SALCRA has forced thousands of native customary land owners into statutory ‘joint ventures’ with the state government to grow palm oil with highly controversial outcomes. Responding to our queries, the spokeswoman admitted that given the clear involvement of the MPOC and Jabu in Boyfield’s research and the IEA’s own compromising links, “it is a very complex and inter-twined matter”. She added “I understand obviously that it may be the case that the conclusions in Keith’s paper aren’t necessarily a true reflection of how things are, and that may well be to do with a number of other factors, but in terms of the relations we have, we did not take any tied money”. It is a weak position to take and the Institute’s will have been further embarrassed by the fact that Jabu and the Malaysian Palm Oil Council have not hesitated to extract maximum positive PR from both the IEA visits to Borneo and the resulting return trip to London to launch the IEA’s positive report on Malaysia’s record. 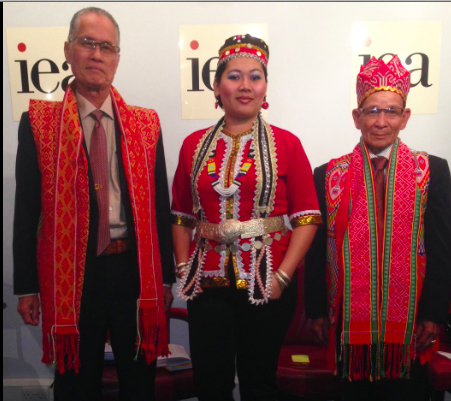 To take advantage of the IEA event the MPOC flew over three “Sarawak smallholders” to join Alfred Jabu on stage. The MPOC named the trio on their promotional ‘faces of palm oil’ Facebook page, as Thomas Lamit, Rebecca Lambet and Briku Busang. All three dressed up in tribal costume for the evening, in order to present themselves to the British onlookers as delighted native beneficiaries of the SALCRA ‘joint venture’ programmes. Later, the same trio dressed in ordinary clothes, posed outside the Houses of Parliament to record a You Tube video, in which they took turns to condemn NGOs and to boast how they now have new homes and cars, thanks to oil palm and SALCRA. 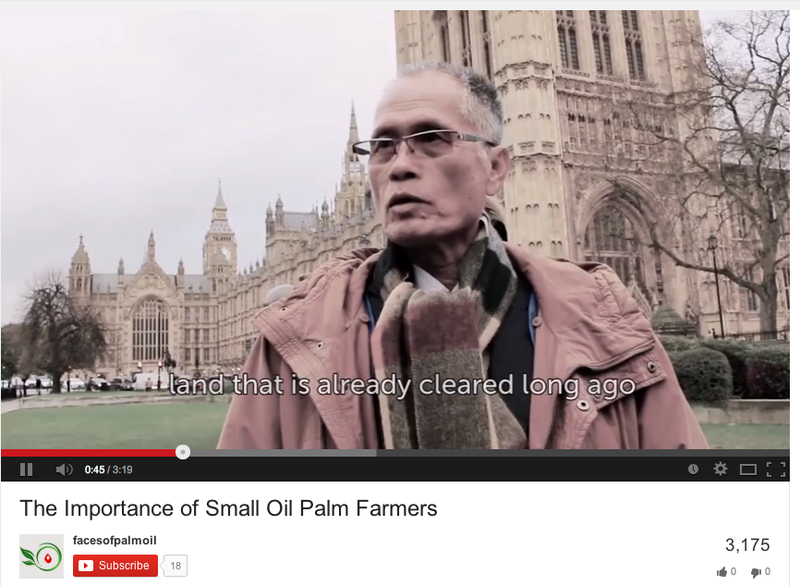 This video, entitled ‘Human Faces of Palm Oil’, was sponsored by SALCRA and the MPOC. In it the lead speaker claims, untruthfully, that “palm oil cultivation in Sarawak is done on land already cleared long ago, so there is no destruction of forest”. In the same video Rebecca Lambet describes her own family’s rich new lifestyle, including multiple car ownership. These are circumstances that bear little relation to the reality of life for most dirt poor Dayaks living on SALCRA plantations. Furthermore, these PR friendly “smallholders’” are noticeably advanced English-speakers, considering they are supposed to be rural folk. Despite the IEA’s attempt to distance themselves from “tied funding” these ‘faces of palm oil’ clearly had their trip funded by the Malaysian public. It is therefore clear is that Keith Boyfeild and his IEA event have just provided the latest platform for yet another publicly funded publicity stunt by the Malaysian Palm Oil Council in their on-going ‘greenwash campaign’ promoting palm oil. 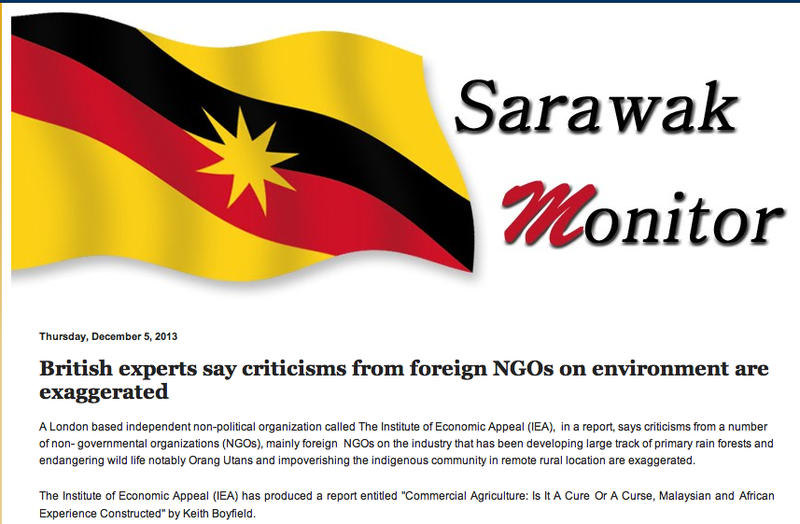 And the MPOC generated publicity around Boyfield’s Sarawak visits wholly undermines any attempts by the IEA to claim distance or objectivity for their research. 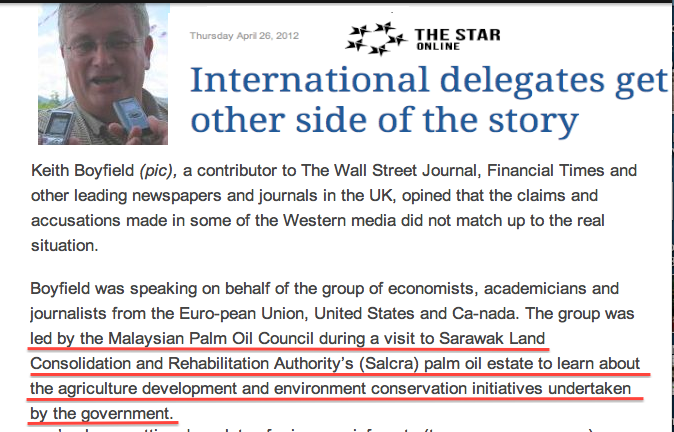 Sarawak oil palm expert, thanks to his week long trip? “There also have been sort of view from people in Britain that Malaysians or the people of Sarawak are cutting down all the virgin rainforests and eliminating the habitats for mammals like orang utans so that they could grow oil palm,” he noted. Boyfield’s quoted opinions on these matters appear to have been furnished by his week long visit, hosted by SALCRA and being shown round SALCRA plantations by Alfred Jabu. They contradict widely known facts and betray a lack of genuine investigation on the ground. Indeed his own reports on Twitter at the time focused less on the conditions in dirt poor Dayak longhouses and more on his sponsored accommodation in the Taib family’s Hilton Hotel! A bit of time in the interior of Sarawak would surely have informed Mr Boyfield a little better, because according more quotes in the Borneo Post, he then came out with the astonishing claim that the state’s oil palm plantations were merely conversions from the traditional rubber plantations and that the virgin jungle remains intact! “This is because from what we see so far is it appeared that your palm oil plantations have actually switched from other commodities such as rubber and now you have been cultivating palm oil instead of other commodities. These remarks by Boyfield were repeated throughout the Sarawak media at the time and also later when the IEA report was produced. 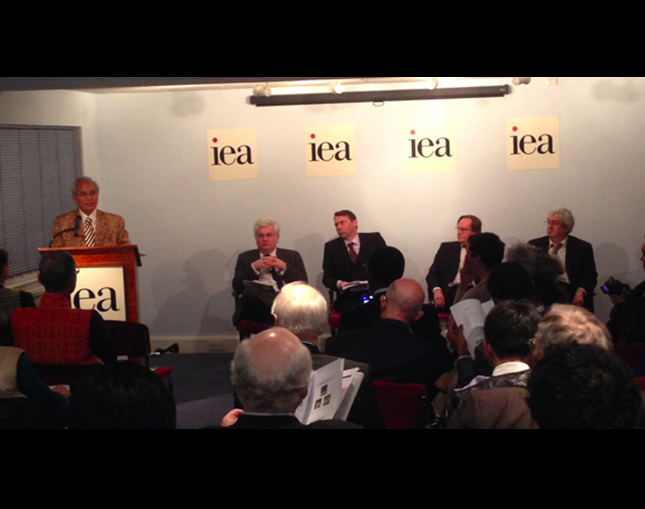 “The Institute of Economic Appeal (IEA) has produced a report entitled “Commercial Agriculture: Is It A Cure Or A Curse, Malaysian and African Experience Constructed” by Keith Boyfield. During the visit, members of the delegation led by Mr. Keith Boyfield had dialogue sessions and discussions with members of local business community, representatives of statutory bodies and general public including participants in the land development schemes. They visited Palm Oil Plantation at Sungai Stengang in Stungkur, conducted interviews with many SALCRA scheme participants and visited Palm Oil Mill. After visiting Sarawak they visited Peninsular Malaysia for the same purpose. To the contrary, we suggest it is time that Boyfield shook off the MOPC, took a more independent visit and checked his facts. Because, this expert of one week was soon engaging in public debates and making his ignorance plain – claiming for example that “property rights are pretty well respected in Malaysia” and that the concept of Land Grabs is too “emotive” and “nuanced” with respect to the oil palm debate. Academic tour or the usual tourist junket courtesy of the Sarawak government ? Mr Boyfield should contact Sarawak’s expert native land rights lawyers, who have seen numerous court victories ignored by the state government and outfits like SALCRA, and think again. Boyfield has also claimed that during his ‘academic visit’ to Sarawak he observed that everyone he met working on oil palm plantations was a local person and not a migrant worker! “In Sarawak it strikes me because traditionally its been a much poorer part of Malaysia than the peninsula they’re able to recruit locally”. Mr Boyfield should contact any of the grassroots indigenous groups, who could tell him of the major problem with respect to the vast immigrant labour force in Sarawak and the uneconomic wages for local people, even on their own SALCRA “smallholdings”, and then speak again. Given Boyfield himself acknowledges that there are around 22,000 SALCRA members, this sum in fact calculates over the 30 year period to about $200 a year per family, in return for the sacrifice of their rightful native lands and forests to the government controlled ‘joint ventures’, managed by Alfred Jabu. 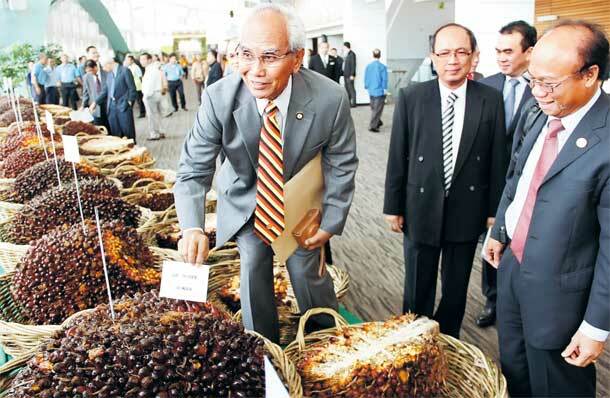 As everyone in Sarawak knows, the smallholders from SALCRA have received virtually nothing in return for the surrender of their lands and that Jabu’s dividends have been paltry compared to the rich profits made by privately run oil palm ventures. Neither did these native customary rights land owners receive one ringgit from the huge sums raised out of logging the timber from their lands to make way for the SALCRA palm oil plantations (less than 5% of virgin forest remains in Sarawak – just another fact check for Mr Boyfield). Only government ministers, like Alfred Jabu and their cronies, have raked in hundreds of millions from the land grab policies of the State of Sarawak. The Dayak remain as poor as ever. But rather than check his facts and balance his arguments, this British consultant has chosen instead to adopt the Malaysian Palm Oil’s obsession with attacking NGOs. In Malaysia free speech and independent opinion are treated like crimes by BN politicians, who find all criticism highly damaging, since they usually can’t answer it. But, why should a British onlooker condemn legitimate concerns raised by NGOs in the same way? 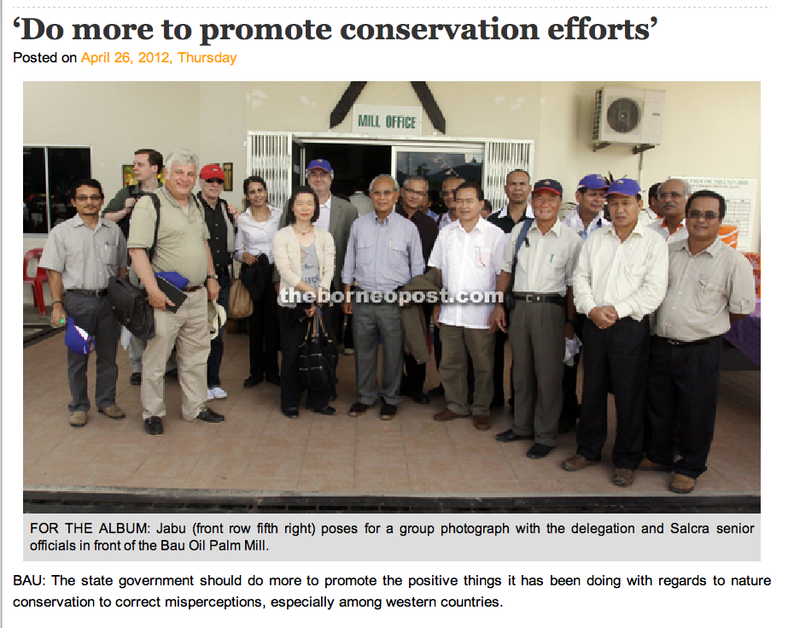 This week, when Jabu again went on the attack over native protests against Sarawak’s latest dam building and ‘industrialisation programme’, the DCM as ever blamed “selfish foreign NGOs who are being paid” for “inciting” them. Sarawak Report will investigate Jabu’s Belgium event. But, meanwhile why has Mr Boyfield has adopted the same anti-NGO line in his supportive articles for the MPOC? FBC Media would have been proud of all this from Mr Boyfield – they were the last British champions for the MOPC and they adopted exactly the same theme in their “Develop or Die” series, which was later disowned by the BBC. 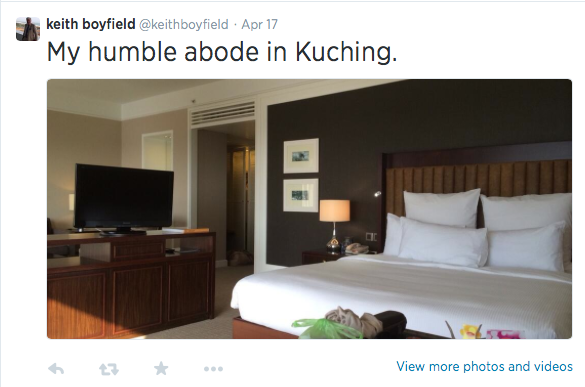 But, when Ministers like Alfred Jabu start hurling unsubstantiated accusations about “paid NGOs”, engaged by foreign powers to undermine Malaysia, someone should remind him about the millions of ringgit that are being wasted by the Malaysian Government itself on engaging this sort of blatant PR from consultants like Keith Boyfield. It is always public money wasted, because people like Boyfield always get rumbled.